To Your Majesty Queen Elizabeth II, may we please join the many millions of huge wishes sent World Wide to congratulate You, Ma’am on reaching your 90th birthday? 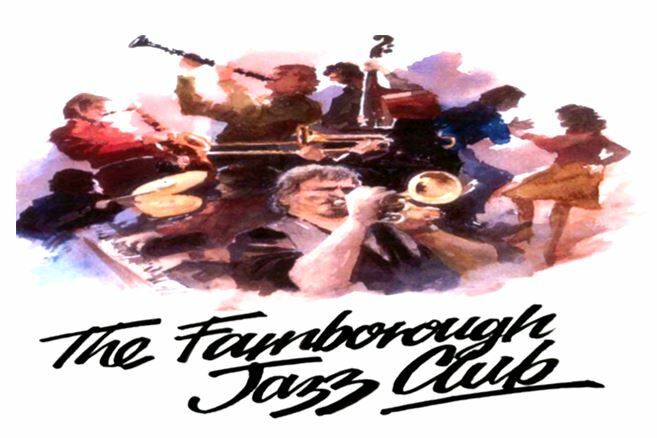 We could not let today go by, without adding the wishes from all at Farnborough Jazz Club. How sorry I feel that Your Majesty is unable to lie about Your Majesty’s age. One cannot even get away with ‘stand-ins’, Your Majesty being instantly recognisable, even from a distance. I have remained thirty-several and a bit more, for at least ten years (even though most laugh at that – those that dare). However, the years have been visibly very kind to You, Ma’am. May they be so, as well as physically, for many more years to come? This entry was posted in Uncategorized on April 21, 2016 by Diane. 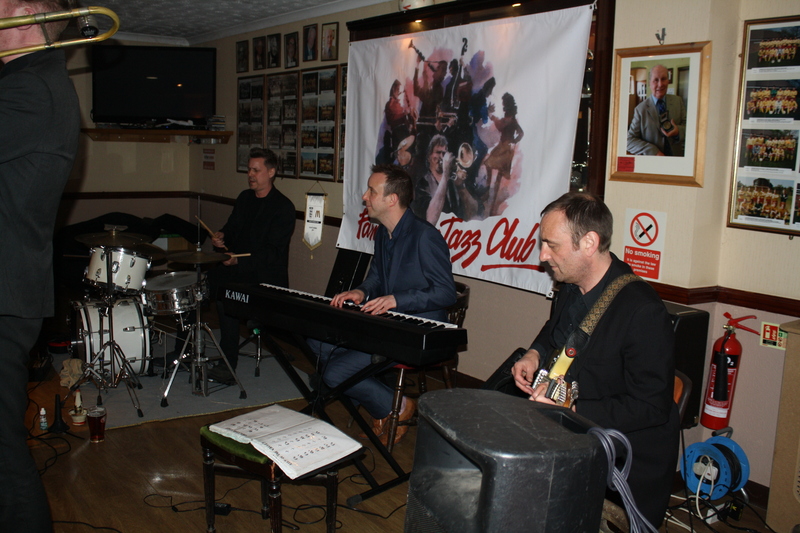 MARTYN BROTHER (singular) played here at FARNBOROUGH JAZZ CLUB on Friday, 15th April 2016. Brother, Emile is back in New Orleans visiting their Dad (Barry Martyn) again. 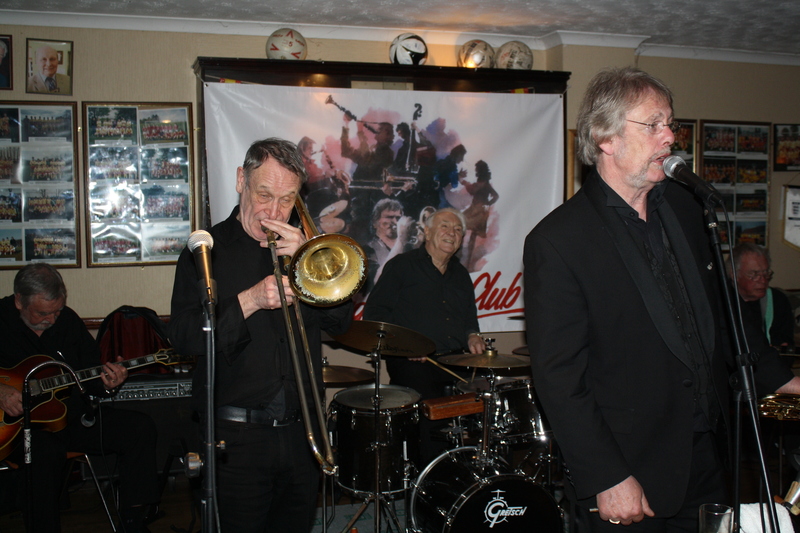 BEN, who plays double bass and sings, had booked for us FINLAY MILNE on trumpet (new to the club, I think), GEORGE SIMMONDS on trombone, IAN BEETLESTONE on piano, JOHN ‘flashback radio’ RUSCOE on guitar and DOMINIQUE COLES on drums. 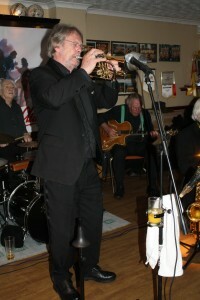 I told you with this young band, you can expect some exciting and energetic jazz, how right I was. 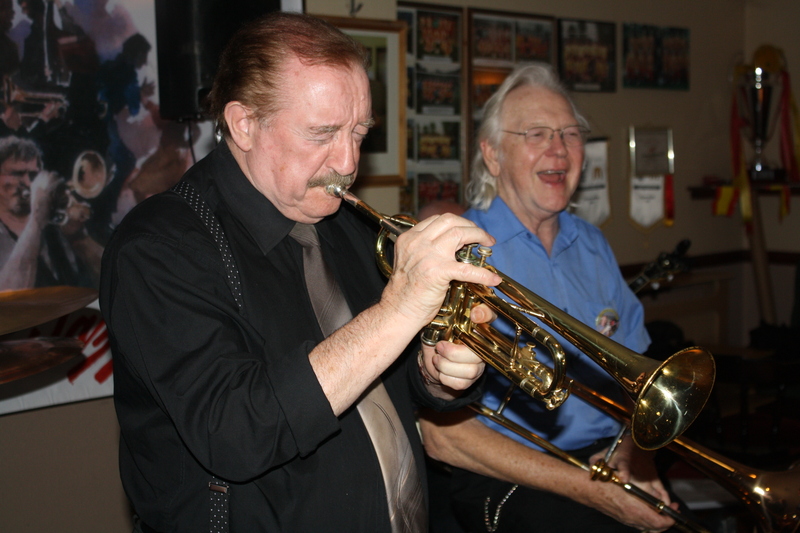 They play plenty of wonderful New Orleans jazz, after all, these brothers lived there, were brought up on it, but Ben, I’m so cross with you, because you have given me a hell of a job, trying to decide what numbers to mention and what to leave out as they were all good. Martyn Brothers play at Farnborough Jazz Club on 15th April 2016. 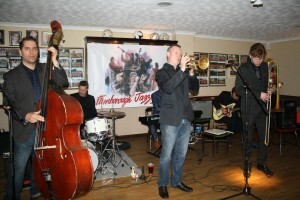 Ben Martyn (double bass), Finlay Milne (trumpet), George Simmonds (trombone), Ian Beetlestone (piano), John ‘flashback radio’ Ruscoe (guitar) and Dominique Coles (drums). Photo by Mike Witt. Ben Martyn (double bass) leads his own band ‘Martyn Brothers’ (Dominique Coles on drums) at Farnborough Jazz Club (Kent) on 15th April 2016. Photo by Mike Witt. ‘Help Me Make It Through The Night’ is a beautiful song of Kris Kristofferson’s, sung by Ben and although not exactly jazz, was so good, it was definitely worth a mention, one to be entertained with. Ben certainly has one hell of a voice and everyone loved it. My next one is ‘Summertime’ (from Porgy & Bess), played with a difference. They gave it a cha-cha-chá tempo. Steve and I made an attempt to dance it. We both knew how to, though a bit rusty, we thoroughly enjoyed ourselves. The next one to follow, they have played before, but this time, sung by Finlay (another great jazzy voice), namely ‘Shake That Thing’. Of course they again as before, enticed everyone onto the dance floor. Ian Beetlestone features on piano, Dominique Coles (drums) with Martyn Brothers at Farnborough Jazz Club (Kent) on 15th April 2016. Photo by Mike Witt. 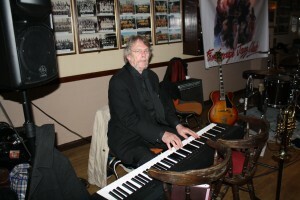 The following number, joined by George, was a feature of Ian’s on piano. Such a lovely number, played and sung with such sensitivity, the tune ‘Miss Otis Regrets’. I have always loved Ella’s rendition. Fabulous Ian. Their next choice was sung by George, ‘The Sheik From Araby’ a Preservation Hall Jazz Band number. It was the one we did our line-dance to. Not quite like the original dancers – ha. Another ‘must’ to include is ‘St. Louis Blues’, certainly a Louis Armstrong favourite and again sung by Finlay, in the same style – just brilliant. Oh, also Finlay is just one super trumpeter – I wrote it by practically every number!!!!! 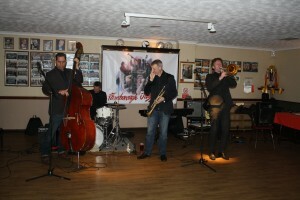 Part engine of Martyn Brothers at Farnborough Jazz Club (Kent) on 15th April 2016. 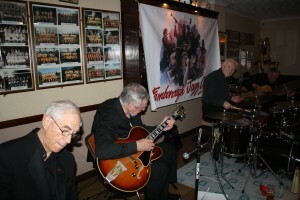 John ‘flashback radio’ Ruscoe (guitar), Ian Beetlestone (piano) and Dominique Coles (drums). Photo by Mike Witt. 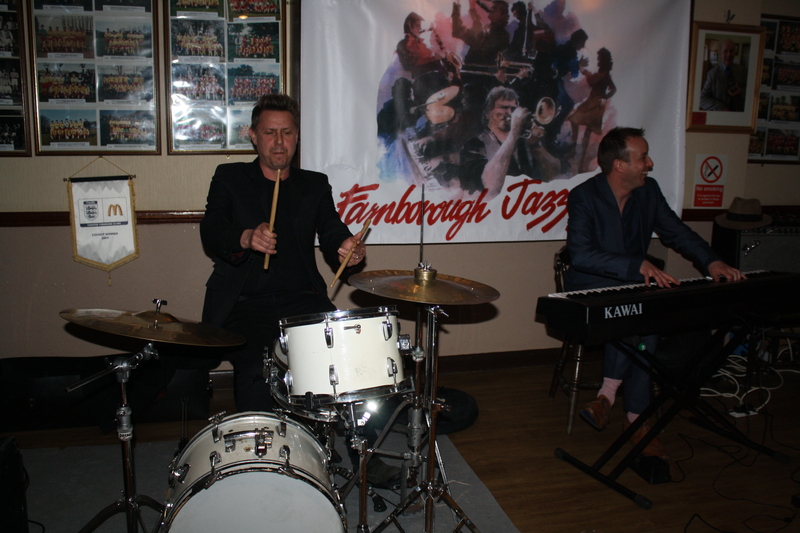 Martyn Brothers at Farnborough Jazz Club (Kent) on 15th April 2016. 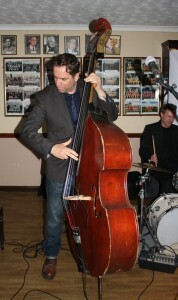 Leader, Ben Martyn on double bass, Dominique Coles on drums, Finlay Milne on trumpet and George Simmonds on trombone. Photo by Mike Witt. Friend Norman Grodentz (clarinet) joins Martyn Brothers for couple of numbers (here with Finlay Milne on trumpet) here at Farnborough Jazz Club (Kent) on 15th April 2016. Photo by Mike Witt. 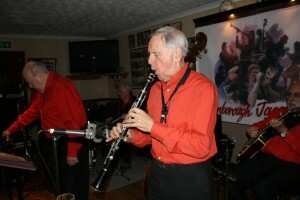 A friend of the band, Norman Grodentz (clarinet) joined them for a couple of numbers, one of them being ‘Isle of Capri’. This one has been recorded by so many stars in the past, one such, being Kenny Ball and his Jazz Band. Ben’s Band were marvellous. 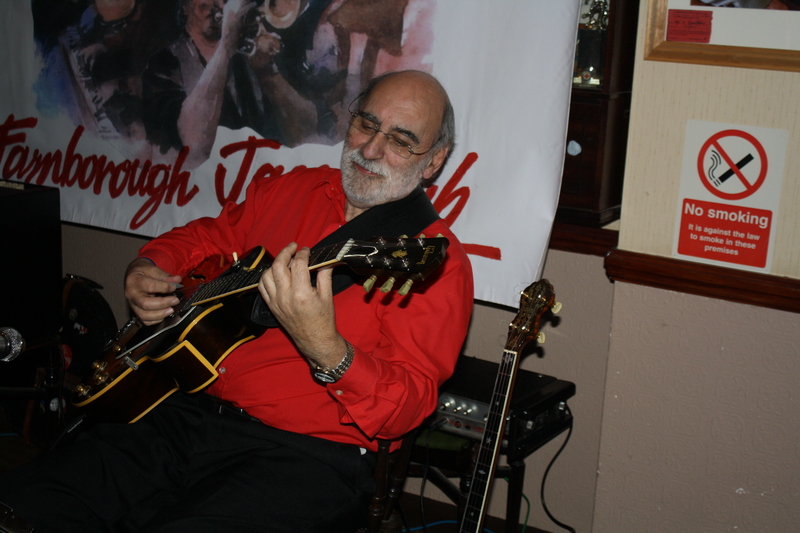 Finlay sang again, the tune was ‘Wont You Come Home Bill Bailey’, yep, another fantastic number (terrific guitar John) – great jazz. 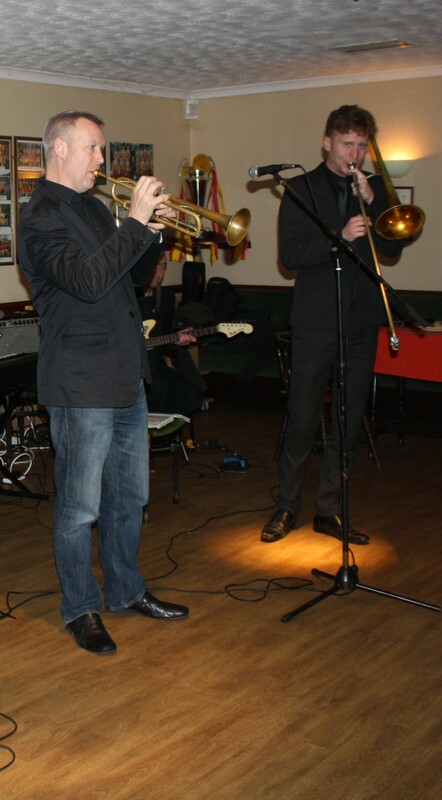 Finlay Milne (trumpet) and George Simmonds (trombone) with Martyn Brothers at Farnborough Jazz Club (Kent) on 15th April 2016. Photo by Mike Witt. The next number, backed by Ian on piano, was a feature for George. Such an amazing young man – only 25yrs old, but showing a maturity beyond his years. He sang ‘I Got It Bad and That Aint Good’, with such feeling. I do hope it wasn’t from personal experience and only talent. Such feeling in his trombone playing too, well done George, you are a star. You should record this one Ben, this one and Ian’s too. They wound the evening up with ‘I Scream, You Scream, We All Scream for Ice Cream’, giving their all, each one performing solos superbly (great drums Dom) and just the right number to finish on leaving, everyone feeling happy. Sorry some of you regulars missed it. Laurie is back next week, so pleasedon’t miss that one. 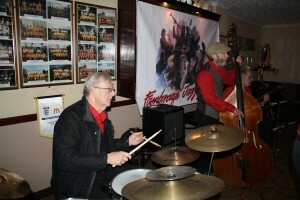 Live’ jazz for your enjoyment. This entry was posted in Martyn Brothers Jazz Band on April 17, 2016 by Diane. 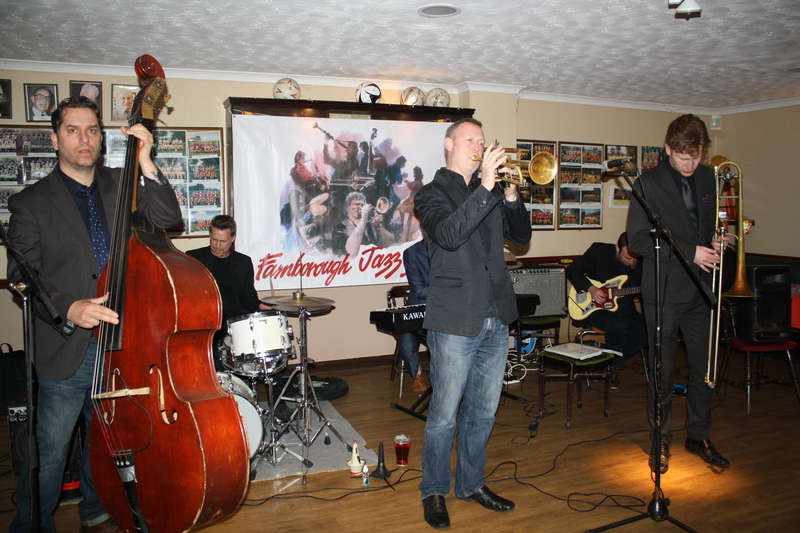 MIKE BARRY’S UPTOWN GANG played on Friday, 8th April 2016 here at the Farnborough Jazz Club (Kent). 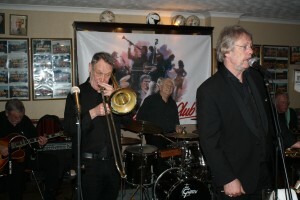 MIKE BARRY (leader, trumpeter & vocals) had his usual band with him, namely GOFF DUBBER on reeds, ‘WHISPERING’ MIKE HOLT on trombone & vocals, JOHN STUART on banjo & guitar, ROGER CURPHY on double bass and GRAHAM COLLICOTT on drums. 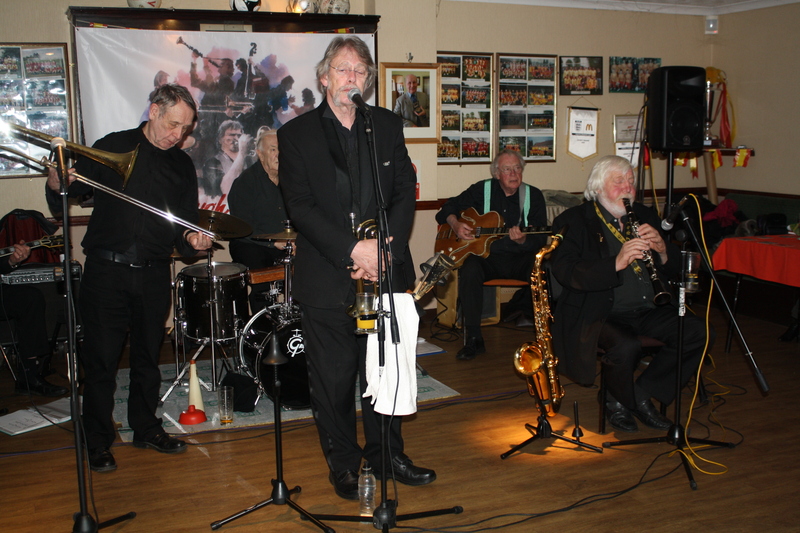 The week prior, I advertised the evening by saying Mike is a wonderful band leader and this bunch of guys together will be for great entertainment, of that you can be sure. They didn’t let me down. I also said ‘Whispering Mike’ is such a funny guy, so him just on his own, would give you a warm happy glow inside you on leaving the club. I added that together they would have you in peals of laughter throughout the evening, plus you would certainly love the music they produced! Again, I wasn’t wrong. Almost a full house can verify this (nice to see Mary and Bob back from Australia – with Beverley, a pretty young Japanese friend with them). 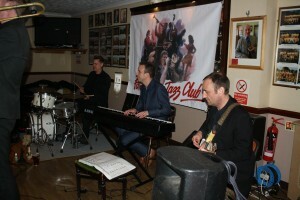 Mike Barry’s Uptown Gang at Farnborough Jazz Club on 8th April 2016. 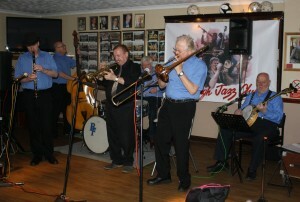 (LtoR) ‘Whispering MIke’ Holt (tmb), Mike Barry (trp), Graham Collicotte (drms), Goff Dubber (alto sax), (hidden, Roger Curphey (d.bass), John Stuart (bnjo). Photo by Mike Witt. The band’s repertoire started with a couple of fast numbers and then, my first number to mention (sung by Mike, with Goff on alto sax) is ‘Beale Street Mama’, ‘Louis Armstrong’s version and just such a cool number. 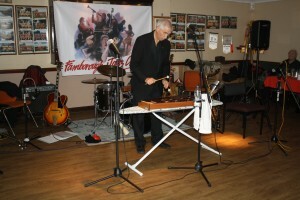 The ‘Engine’ of Mike Barry’s Uptown Gang at Farnborough Jazz Club. 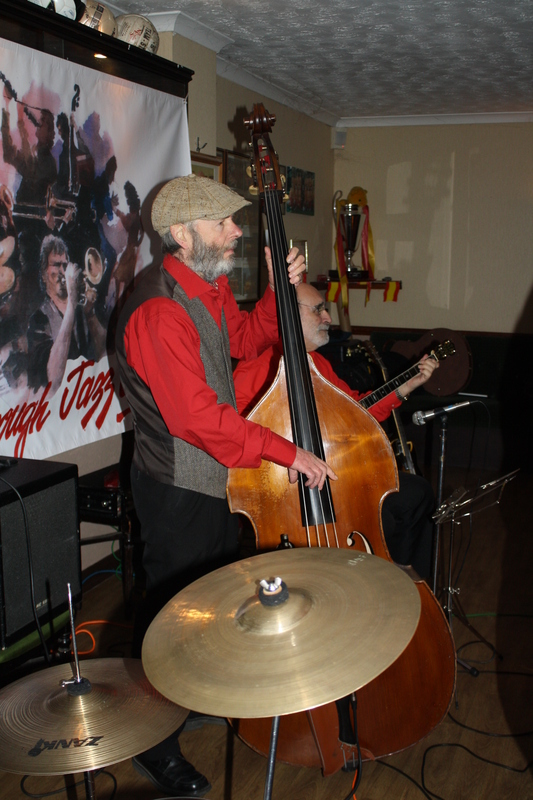 (LtoR) Graham Collicotte – drums, Roger Curphey, double bass and John Stuart – banjo on 8th April 2016. Photo by Mike Witt. They all showed off their ‘stuff’ with my next choice ‘Kid’ Ory’s ‘Creole Song’. Fabulous solos from everyone, showing that the ‘engine’ doesn’t just drive a band, but can hold their own, when playing solo – luverly! 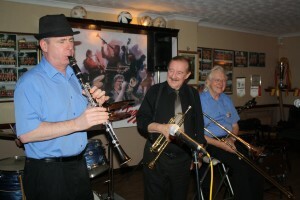 We chose to dance our ‘Charlton style’ line-dance to Bix Beiderbecke’s ‘Oh Baby’, obviously, I was too busy to make notes – certainly fun for us dancing – ha. Goff Dubber plays clarinet with Mike Barry’s Uptown Gang at Farnborough Jazz Club on 8th April 2016. (Goff to centre, Mike Barry & Graham Collicotte to left, John Stuart to right.) Photo by Mike Witt. I loved Goff singing next (in true ‘Louis Armstrong’ style) to ‘Do You Know What It Means To Miss New Orleans’. They played it beautifully and brought everyone onto the dance floor (such a romantic lot). Next they played a wonderful rendition of ‘Everybody Loves Friday Night’. Oh what a certainly fun for us dancing – ha. Oh what a marvelous bit of fun and with everyone in the audience joining in singing at the top of their voices. Yes, really, oh, what was that? Yes, you’re right, it was actually ‘Everybody Loves Saturday Night’ – ha. 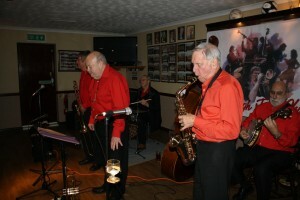 Then came a brilliant swinging number ‘Clarinet Marmalade’, fabulous. 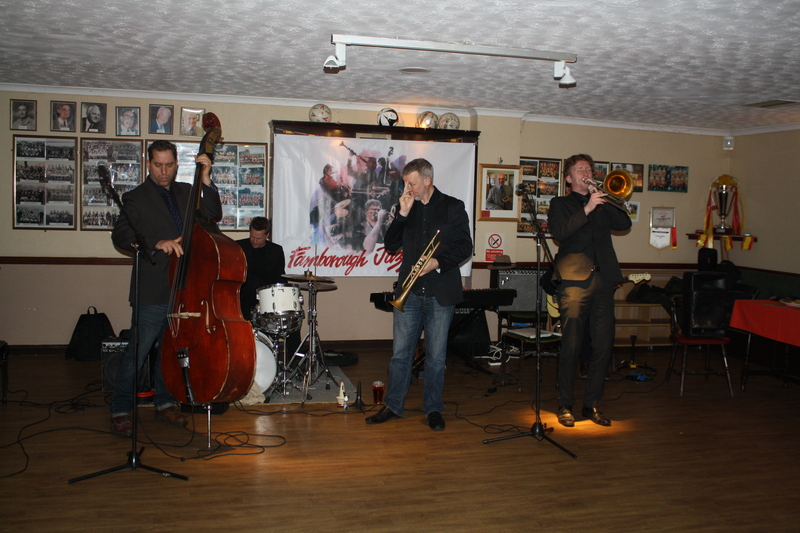 Mike Barry’s Uptown Gang (Front Line) at Farnborough Jazz Club on 8th April 2016. 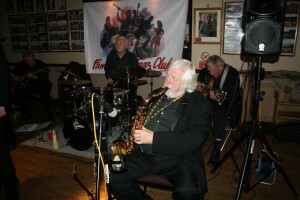 (LtoR) ‘Whispering MIke’ Holt(tmb), Mike Barry (trp), Goff Dubber (alto sax). Photo by Mike Witt. ‘Whispering Mike’ had everyone in fits of laughter with his party piece, singing to ‘March Dominique’. He sings it in pigeon French (complete with beret). Oh he is wonderful. I had a hard time finding who wrote this tune, only finding ‘Dominique’- Jeannine Deckers’ (‘Sister Smile’ or ‘The Singing Nun’) tune, not believing it could be this tune, being a Nun. But if I had listened to it on You Tube, I would have realised it was the same tune. However, Mike shows his wonderful talent, because he added a New Orleans ‘marching’ touch to it and hence a fantastic result. His talent didn’t end there, because the following tune was his own composition. He took the idea from pianists, during the Great Depression of 1929, who (unable to get band work) took individual jobs and to jazz things up, ‘Boogie’ was invented. Mike wrote this tune and called it ‘Bluin’ the Eighths’ (musicians will understand how and what that means). I absolutely loved the result and strongly believe Mike should record it – it was super. 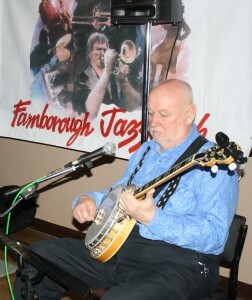 Smiley John Stuart on Banjo with Mike Barry’s Uptown by Mike Witt. Before I mention my last number, I want to point out how most musicians suffer aches and pains in silence, playing their hearts out. 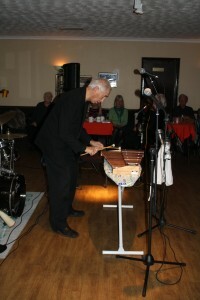 One such person is John Stewart (capture here by Mike Witt) was suffering with severe back pain, but this photo doesn’t show a note of this (the only notes he showed were musical ones!). Well done John. 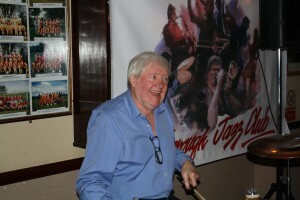 Plus cannot leave out this photo of our loveable Roger. 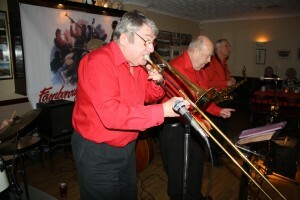 They finished up in style with ‘Bourbon Street Parade’ a splendid way to go home – wow! I need say no more ……. just brilliant! Eight 430-tonne electrical transformers to descend on Dartford Crossing. Go to ‘Page’ above for more information. This entry was posted in Mike Barry's Uptown Gang on April 11, 2016 by Diane. GEORGE ‘KID’ TIDIMAN’S ALL STARS returned on Friday, 1st April 2016 at our FARNBOROUGH JAZZ CLUB. What a brilliant evening we had. GEORGE (our ‘Kid’) had that brilliant trumpeter, DENNY ILETT with him. Did you see the write-up in Just Jazz Magazine (April 2016 issue – on sale here)? 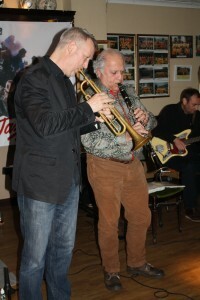 Also completing a top-class front line, he also had that superb clarinettist, TIM HUSKISSON, what a trio! 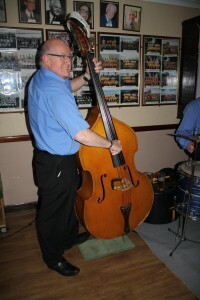 He also had his usual and great ‘engine’, namely fabulous bass singer and banjoist ‘SOUTHEND BOB’ ALLBUT, super double bassist JOHN SIRETT and great drummer BILL FINCH. Last week I told you that you probably needed to get rid of those pounds (weight) gained from Easter eggs and what better way, but to bring your dancing shoes and dance those inches away. Some of you couldn’t get out of the chair could you – too heavy aye? Those who came had a wonderful evening and you just have to know me to know I don’t tell fibs, or exaggerate! George ‘Kid’ Tidiman’s All Stars at Farnborough Jazz Club on 1st April 2016. (LtoR) Tim Huskisson (clt), John Sirett (d.bass), Denny Ilett (trp), Bill Finch (drms), George ‘Kid’ Tidiman (trmb) & ‘Southend Bob’ Allbut (bnj). Photo by Mike Witt. Here’s a little insight of the beauty we enjoyed. ‘Southend Bob’ sang the first number ‘You Always Hurt The One You Love’, with an echo from the rest of the band of ‘at all, at all, at all’, great fun. George sung the next number (sporting sea captain’s hats) ‘Down by the Sheltering Palms’. Absolutely fabulous and then an equally marvellous number was a tune called ‘San’. They played ‘Kid’ Ory’s version and I gave it three ticks and wrote that everyone performed solos fantastically! George mentioned it was in a ‘Zeigfeld Follies’ Broadway Show back in the 1920’s. I do have to mention the next one, ‘Hiawatha Rag’. It is such a wonderful tune, made famous by Chris Barber. George, what a band – you were all brilliant, lovely playing by everyone. Oh, we did our line dance to the following number (sung by Bob) ‘Move Your Body Over’ and yes we did move our bodies over – ha. I know, I was aching so much afterwards. Next choice to mention was sung by ‘Southend Bob’ and the number was ‘My Little Bimbo Down on Bamboo Island’. 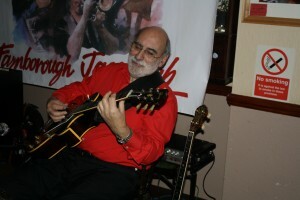 George also played ‘swanee whistle’ and of course he is so gifted at playing it too. George mentioning dear Bill Brunskill and the Lord Napier Pub, where he played for years. [I have found and also acquired some old photos recently, some of Bill, so soon, I shall be starting up a special ‘page’ for old photos of the jazz world (please email any you might wish to be displayed).] Their next tune was ‘Ace In the Hole’ again sung by Bob and with audience participation in all the right places. Again such fun. ‘Southend Bob’ Allbut on banjo. 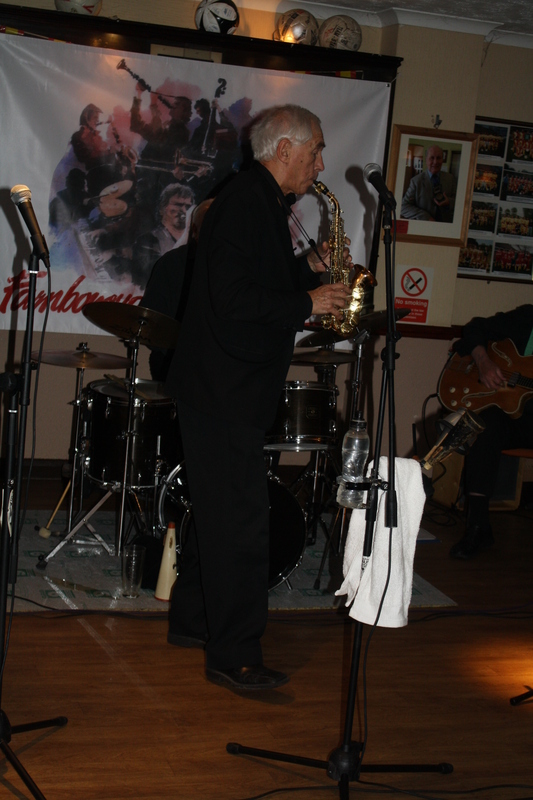 One of George ‘Kid’ Tidiman’s All Stars at Farnborough Jazz Club on 1st April 2016. Photo by Mike Witt. 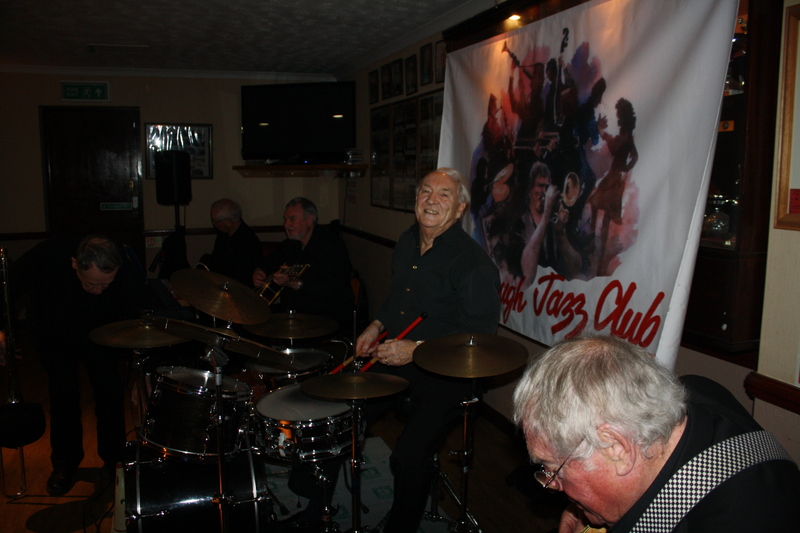 Bill Finch (drummer) takes a breather (probably enjoying one of George’s jokes) with George ‘Kid’ Tidiman’s All Stars at Farnborough Jazz Club on 1st April 2016. Photo by Mike Witt. John Sirett plays double bass and enjoys the fun with George ‘Kid’ Tidiman’s All Stars at Farnborough Jazz Club (Kent) on1st April 2016. Photo by Mike Witt. 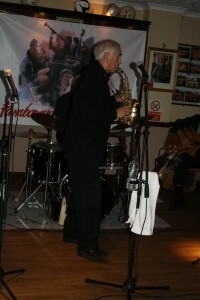 Denny Ilett plays an intro’ to ‘Stardust’. 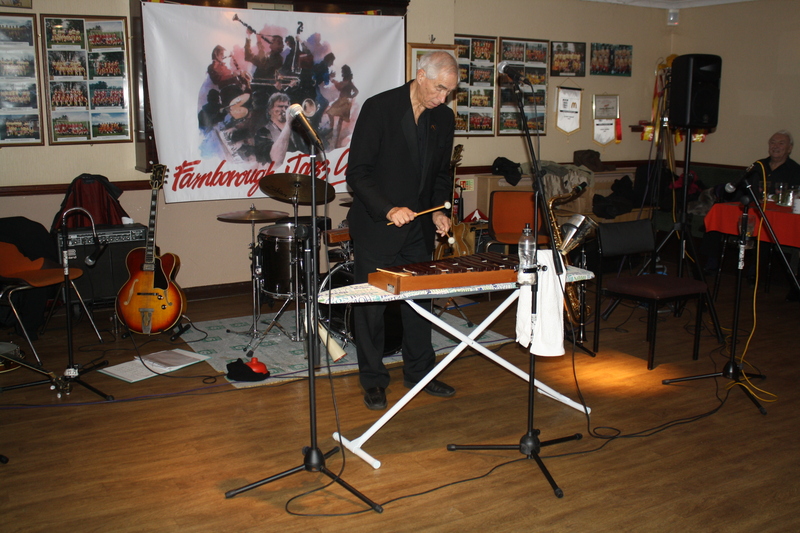 enjoyed by George ‘our Kid’ (with his George ‘Kid’ Tidiman’s All Stars band) at Farnborough Jazz Club (Kent) on 1st April 2016. Photo by Mike Witt. I requested their next one, because the last time they played it here, it was breathe-taking, the number was ‘Stardust’. Denny did it again, with a wonderful intro and they all joined in with such sensitive playing. Gorgeous … and then the next number! 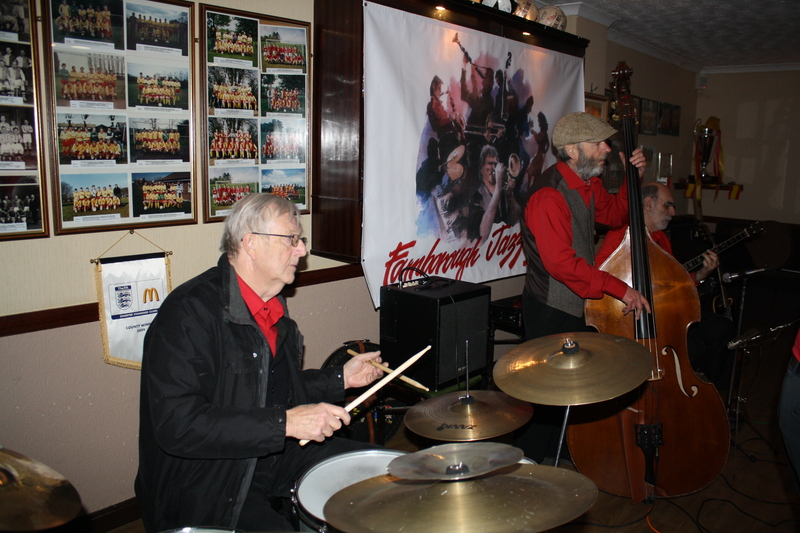 What a one to go out on – awesome – it was ‘South Rampart Street Parade’, with brilliant solos by everyone. Keith said it was the very first record he ever bought. Before I close, I wish to say how very sad to learn of the passing of the fabulous Ronnie Corbett, one of our great British comedians of all times, whom I had the great pleasure of a brief meeting. I told him that he made me laugh so very much, it gave me a pain at the base of my head. I’m sure he must have wondered what I meant – ha! This entry was posted in George 'Kid' Tidiman's All Stars on April 5, 2016 by Diane.